Sundays in Bailey Hall from 10:00-10:45 a.m. The Abiding Table is a chance for adults to connect with each other over coffee, breakfast and conversation. 2nd & 4th Mondays in Bailey Hall from 9:45 a.m. - 11:45 a.m.
MOPS is a Christian faith-based moms group sponsored by Abiding Presence for moms of birth through kindergarten age kids. Moms get connected to a community of other moms who meet together to laugh, cry and embrace the journey of motherhood. MOPS is meant to help moms be more honest, feel more equipped and find our identity by journeying alongside one another. MOPS moms gather the to talk, eat, pray and grow in faith. While moms are doing all of that, kids are in their own age appropriate children's program right down the hall. In our children's program, kids learn a Bible Story, do a related activity, enjoy free play in the classroom and/or on the playground, have music class with a professional music teacher, have snack and experience God's love for them. Pre-registration is required for MOPS and we ask moms to register for a semester at a time. For more information, contact Pastor Keseley. Thursdays in Room 9 from 10:00-11:30 a.m. The Thursday Morning Bible Study meets for coffee, Bible Study and prayer. They often study a whole book of the Bible at a time. They enjoying digging into scripture and reflecting on what it means for their lives. The group is led by Kathryn Ives, who can be reached through the church office. While the group is currently all women, they welcome men to join them. Wednesdays in Room 10 from 6:45-7:45 p.m.
Moms of birth through Senior High children meet for conversation, Bible Study and prayer. For more information about the group, contact the church office. Wednesdays in Room 8 from 6:45-7:45 p.m. 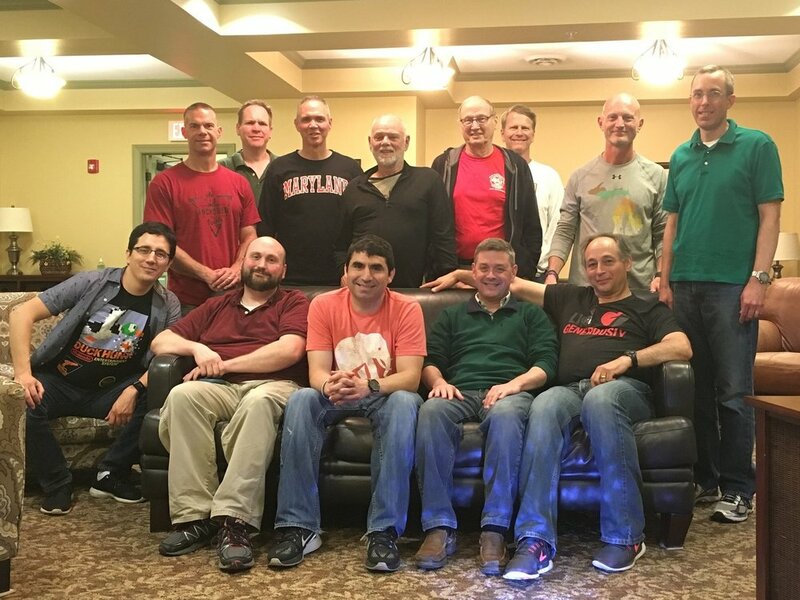 Abiding Presence Iron Men launched in September 2015 to provide men with an opportunity to grow in relationship with Christ and each other. They seek to explore discipleship in order to better understand God's call for their their lives. The group is led by Chad Davis, who can be contacted through the church office. 3rd Saturday of the Month at 8:30 a.m.
Men of the congregation gather meet monthly for prayer and breakfast at Anita's Restaurant. For more information. The group is led by Roger Eisinger, who can be contacted through the church office. 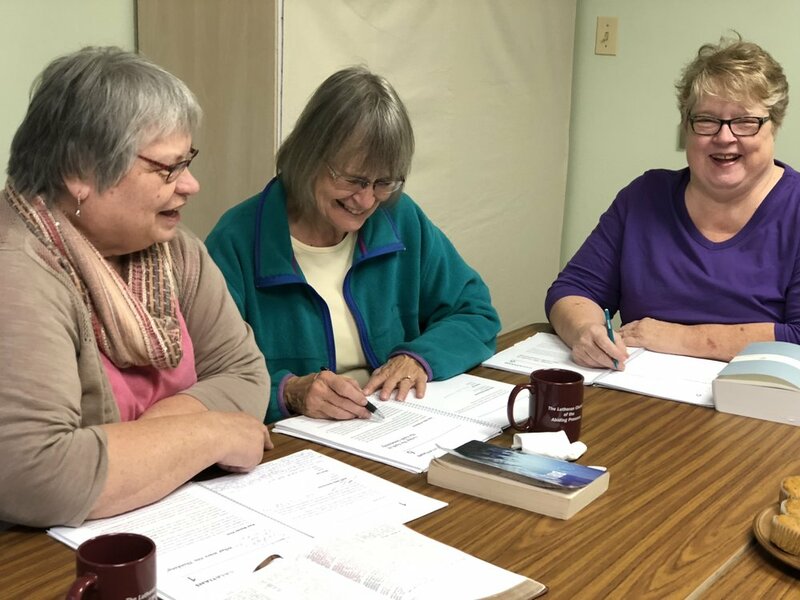 Women who meet in people's homes for Bible Study and breakfast. For more information about the group, contact the church office.